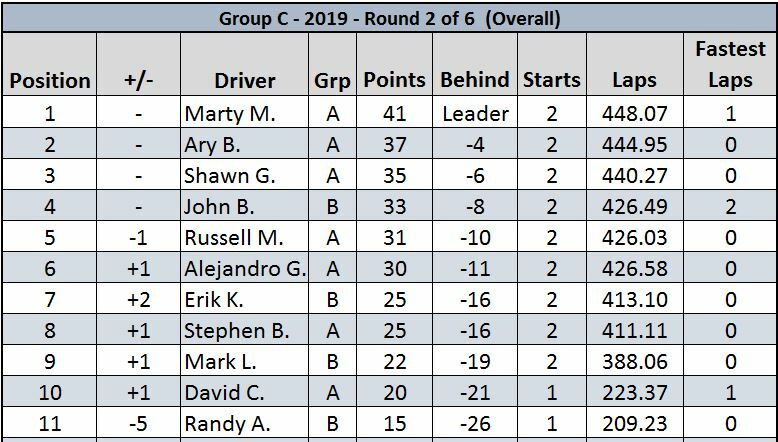 The second round of the clubs Slot It Group C series saw eleven club members fighting for the top spots on the podium. 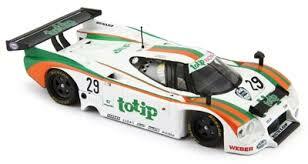 One of the big differences in this round was the addition of A Group runner David and his super-fast Lancia LC2/85. Last year David won the series and set the fastest lap using this same Lancia. Everyone has been working hard in the offseason to improve the performance of their car with the hopes of giving David a run for the top spot. The pre-race warm up saw the biggest wreck of the day when John and his Lancia LC2/85 went flying off of the track and on to the floor. Needless to say, this did little to improve the performance of the car. The car was in pieces, the windscreen was even cracked in two, but it could be put back together. John got right to it and in no time at all had all the pieces glued back on. Whether or not it would run was another thing. With almost no time left John got in a few test laps and then waited for his first heat. The pre-race warm up also showed the racers were getting quicker and quicker with some great lap times among all the Slot It Group C runners. Once the racing started it became a race of making the fewest mistakes. Everyone was fast. There were no big spreads between racers in any of the heats. The close racing was fun to watch and most of the racing was gentlemanly. There were some moments of contact but those were difficult to avoid in some cases. It made for some great racing and was super fun to watch. At the end of the day the difference between the winner and the ninth place runner was only 10%. There were four runners with 220 plus laps, four runners with 211-220 laps and two runners below the 211 lap mark. One racer had a fast lap in the 3.7 range, three runners had fast laps in the 3.8 range, three runners in the 3.9 range and three at 4.0 or above. As if that was not enough data, here are the average lap times for all the racers. Looking forward to seeing how everyone does in the next round. I am sure the racing will only get closer as racers have more time to prepare their cars.